I've been excited to finally share this post on my blog. 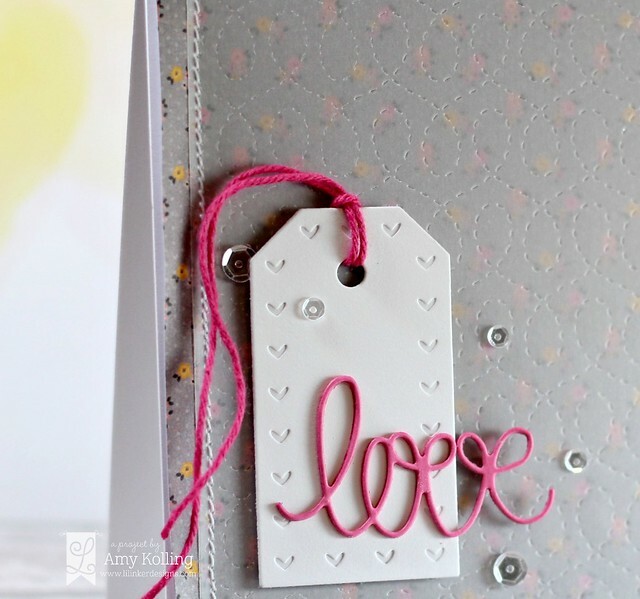 This card was one of my blog posts this month over on the Taylored Expressions blog. I had a lot of fun using DIES to create my mini "scene". 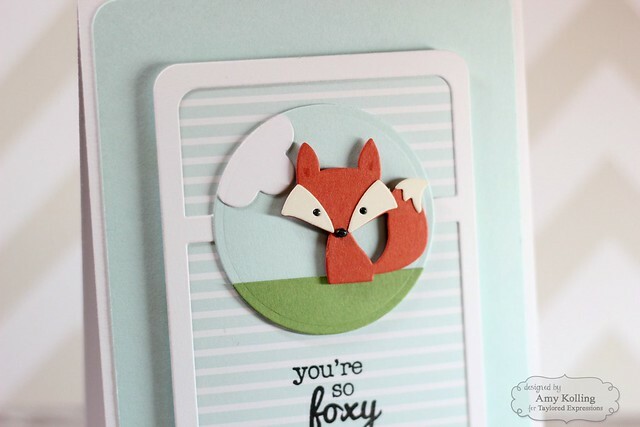 This Little Bits Fox Die is just the cutest thing!!! 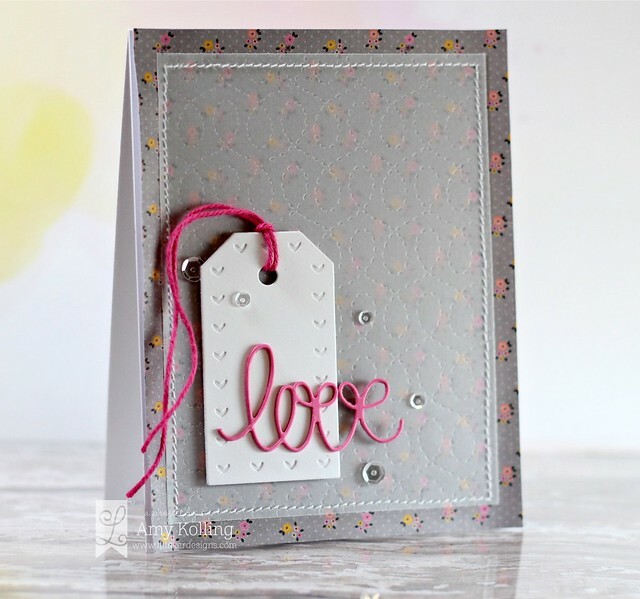 Make sure you check out the FULL post over on the Taylored Expressions Blog for all the details on my card! Thanks so much for spending a part of your day with me! Hello! 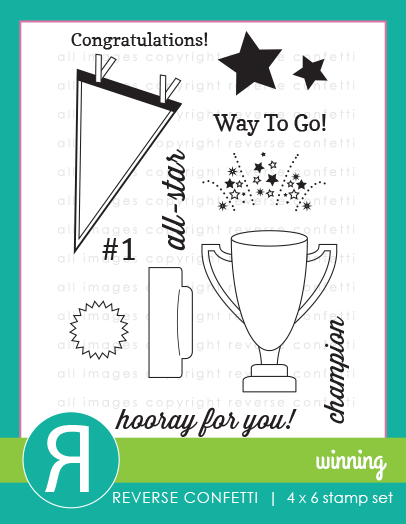 I have a fun "layered" card using products from Reverse Confetti and the current SFYTT (Sketch For You to Try). 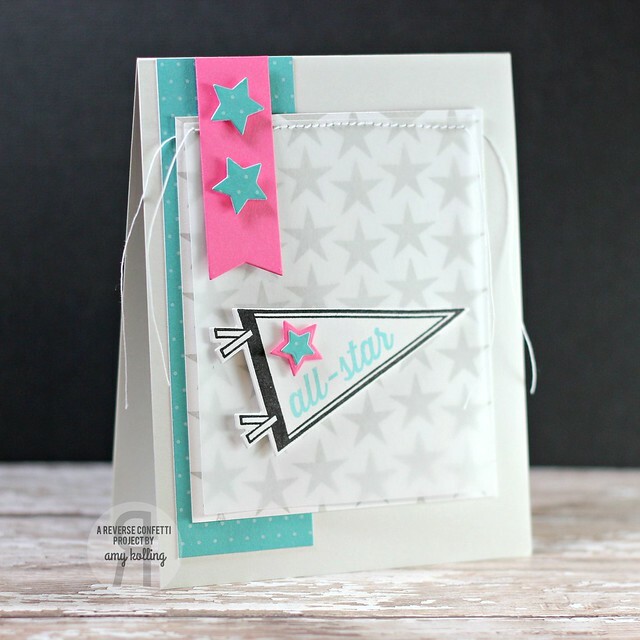 This card is going to my daughter as she finishes her basketball season next week so I went with some girly colors! 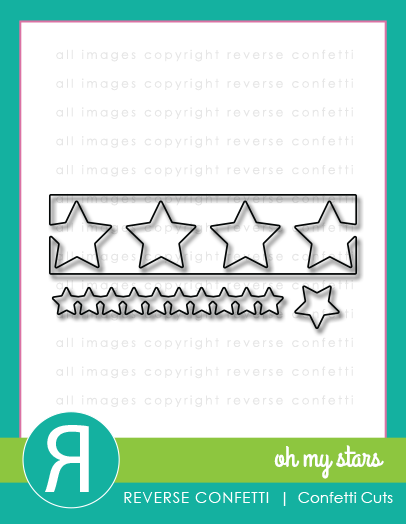 I started by stamping a white panel with Provincial Gray Fresh Ink using the So Many Stars stamps. I sewed a layer of vellum over the top to soften the look of the stars even though I used a lighter gray ink. 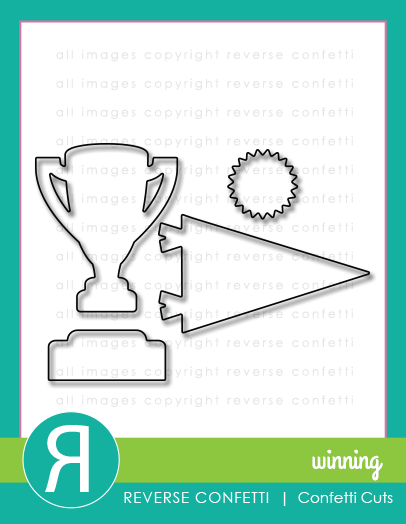 Next, I stamped and cut the pennant from Winning and added it with foam adhesive. 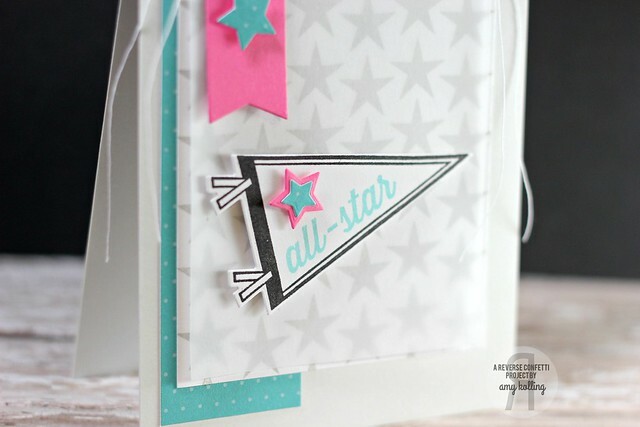 A few die cut stars from Oh My Stars Confetti Cuts were added to a banner die cut from Tag Me Dies. Hi Fetti' friends! 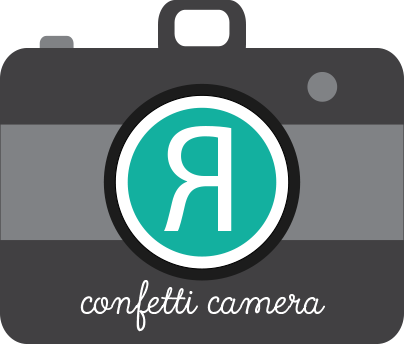 I'm up on the Reverse Confetti blog today with my version of the "Inside Out" Confetti Camera Challenge! 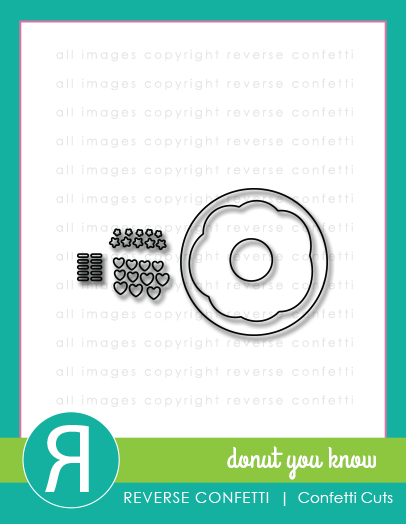 Here's a little peek of my card that you can find over there! 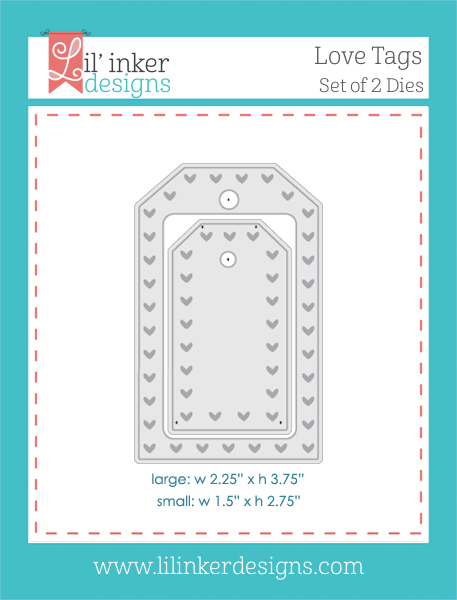 I've used my favorite die....Triple Chevies Die for a clear card! Thanks for sharing a part of your day with me!!! 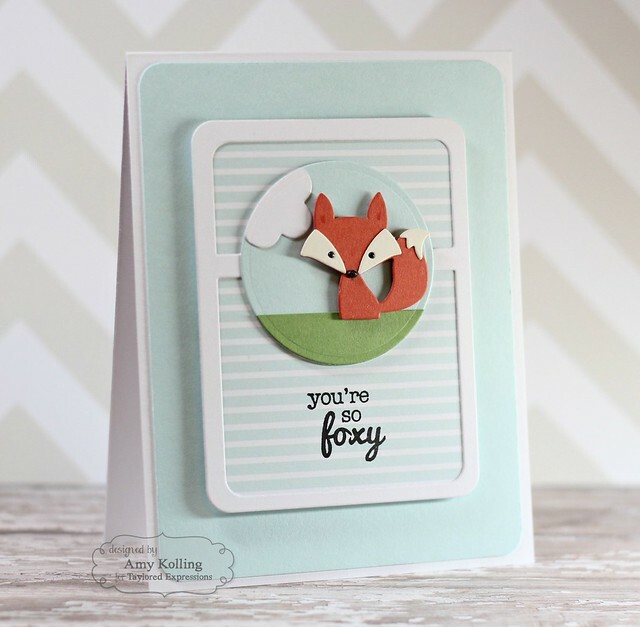 The LEAD of Donut Delight will be invited as a Guest Designer in our next challenge! 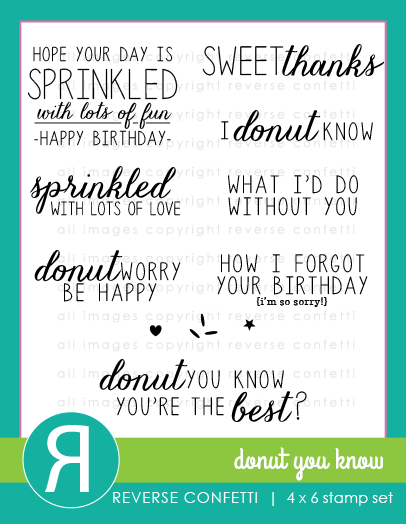 I've used the Donut You Know sentiments and coordinating Confetti Cuts from Reverse Confetti. I white heat embossed the sprinkles onto my donut frosting and added a few sequins from Pretty Pink Posh! 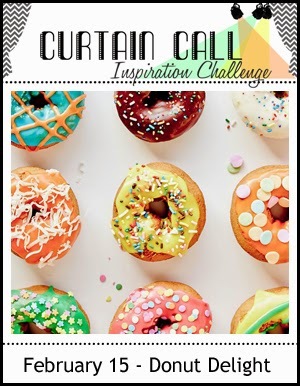 Stop by the Curtain Call Inspiration Challenge: Donut Delight for the challenge details and to play along with us! Yesterday was bittersweet for me as it was 10 years ago that I got the call about my mom. Valentine's is always a day that will be somewhat sad for me but I try to remember the wonderful memories of her that I have. I couldn't let this day go by without sharing a Valentine I made for the occasion. 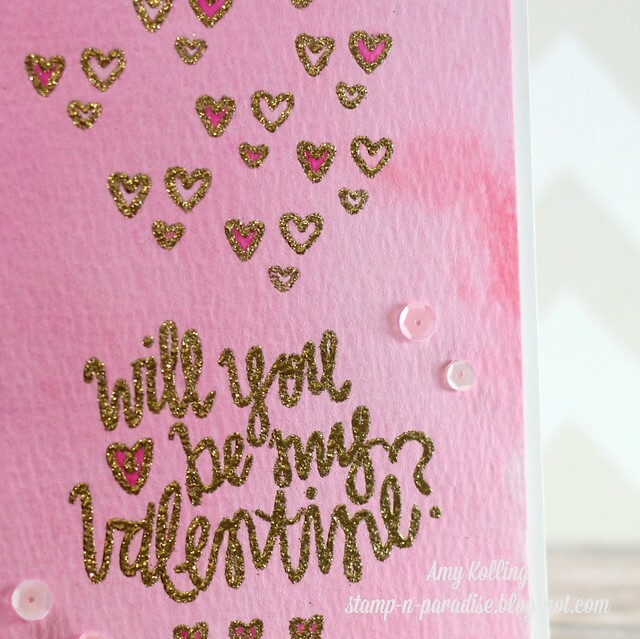 I've used the Be My Valentine stamp along with the gorgeous sequin mix called Full of Love by Neat & Tangled. I started with a Distress Ink washed piece of watercolor paper and stamped the sentiment in Versamark and heat embossed with Gold Glitter Zing embossing powder. 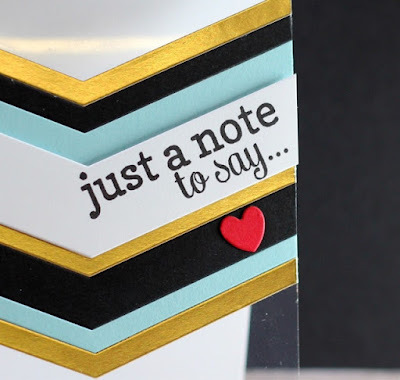 I love the "chunky" look it gives compared to the traditional gold embossing. 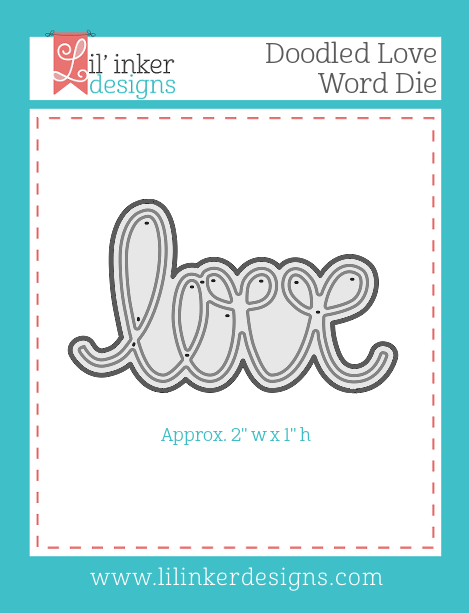 I added in lots of outlined stamped hearts from the Be My Valentine set. To the centers of a few of them, I washed them with Picked Raspberry Distress Ink. I hope you all have a wonderful day filled with loved ones and remember to hug them tight and fill their day with LOVE! 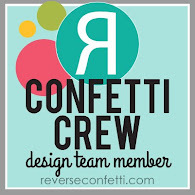 Monthly Meet Up with Lil' Inker Designs! 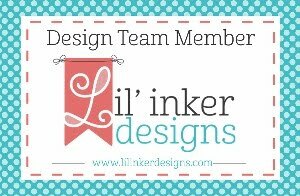 Welcome to the first Monthly Meet Up with Lil' Inker Designs! Monthly Meet Up is just a fun way to show off those Lil' Inker Designs goodies for a challenge! Post your project to your blog or favorite gallery. Link to your project using Inlinkz tool over on the LID blog. 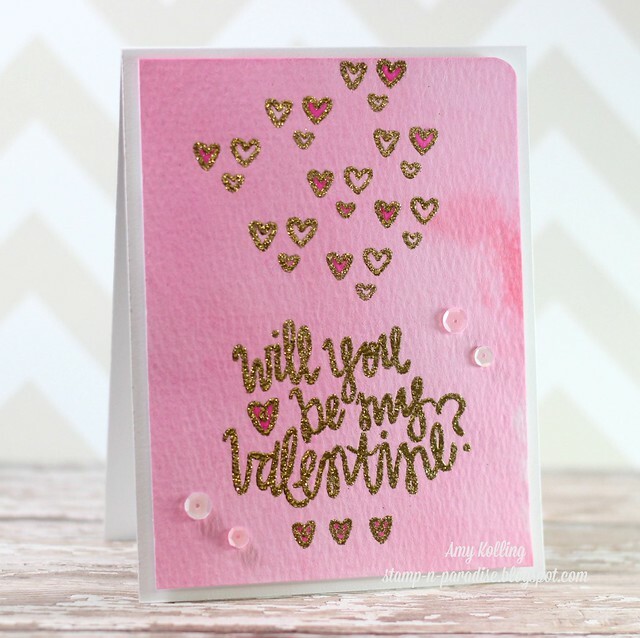 I have a card using some of the January release goodies and NO stamping! 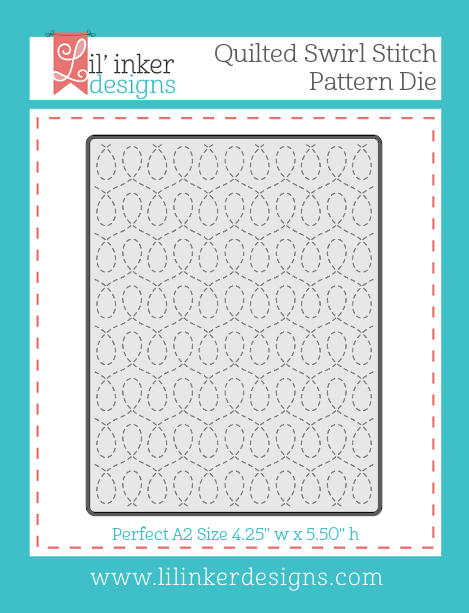 I just love this new Quilted Swirl Stitched Pattern Die which I've used on a piece of vellum for a subtle look when layered over pattern paper. I added the vellum by stitching the perimeter with my sewing machine. You have through February 24th at 11:30 PM EST to link your projects to be eligible to win a prize. Projects should exclusively feature LID goodies to be eligible to win but do not need to exclusively feature LID goodies to join our Meet Up. What can you win? Well, that's up to you! Since this is our first challenge we'd like to stir things up by offering a super big prize and the prize will get bigger depending on how many entries we receive. 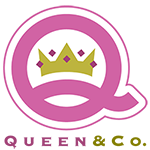 Multiple entries are allowed as long as your projects are featured in separate posts.